One of the major promises made by the government after it came to power was to bring in the Right to Information Bill ‘soon’. This was in fact a pledge given by the Prime Minister himself at the first meeting between the cabinet and senior civil servants in 2008. There was much enthusiasm and hope especially with a ready RTI draft Bill drafted by the High Court which was given to the MoIC in 2008 itself. However, it was soon clear that the government’s commitments were not serious and that there was a clear lack of political will with the issue of RTI being ignored and kept in the sidelines. The first excuse was that other more important Bills had to be passed. After that was exhausted the government said that it would bring in the bill before the end of this governments term. Finally there was talk of not introducing the Bill at all. However, a few events have led the MoIC and the government kicking and screaming to the RTI table. 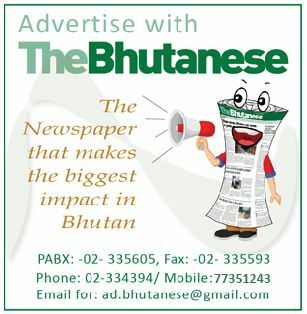 In 2008 inspite of the financial crisis one of the main reasons why donors opened their purses so willingly was due to the fact that Bhutan was a new democracy. Four years later donors before making any substantial commitments for the 11th plan will have to justify to their tax payers back home the progress of Bhutanese democracy. Apart from checking on the health of the big four which are strong laws, democratic institutions, free and fair elections and genuine media freedom the donors will also look to see if Bhutan has an RTI Act or not. Another factor is an almost constant pressure maintained by the Bhutanese media and concerned citizens on the need for RTI. The third and recent factor is an effort by National Council member from Gasa, Sangay Khandu who attempted to introduce the private members bill on RTI. The message was clear that if the government does not bring in its own version then somebody else will bring in their version. The current draft of RTI Bill though a well researched and complete document in its own right has some major flaws due to sections that unnecessarily protect government agencies and give them discretionary say. The Bill says that the Act will not apply to all public documents and public information that is supposed to be made public on the basis that agencies will make it public on their own. However, the ground reality is that in most cases public information is denied. There is also no penalty clause if an agency does not make public information public. The Bill also has too many loopholes under denial of information section that can be misused by errant officials. This is in spite of the fact that there is already a long list of exempt information that covers everything from national security to trade secrets. One loophole is a section which says that information whose release would cause more overall harm than public interest can be denied. Here even a simple RTI application can be denied as it is up to the official to decide what public interest is. Another is that if it contains ‘deliberations necessary for the candid advice and consent for the functioning of government’. This could be anything from the price of vegetables to the color of grass. The Act says officials denying information will be held accountable for damages and petty misdemeanor. However, this enforcement portion of the Act is countermanded by another section which says that no suit should be brought against an official who acted in ‘good faith’. At the end of the day whatever the level of sincerity, the government will have to realize that ultimately RTI will strengthen democracy, promote transparency, good governance and fight corruption.